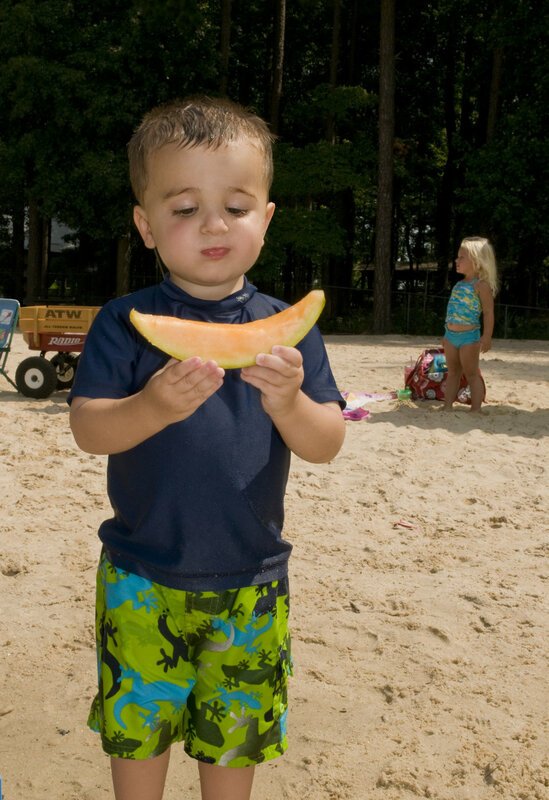 During this young boy's day out to the lake with his family and playthings, he was pictured here holding a slice of cantaloupe with both his hands while standing on the beach sand. Just as important as his healthy food choice were his garments, which included a darkly-colored shirt that was able to shield him from the sun's harmful ultraviolet rays. Hopefully, his exposed skin was protected by the application of sunscreen, as well.